There has swept over this a nation an egregious "kill it" fallacy. If it doesn't work for our immediate interests: kill it. If it conflicts with our desires, however myopic they may be: kill it. If it threatens us in any way: kill it - it'll disappear! This mindset is a fallacy because problems don't just disappear. No matter how forcefully we try to stamp them out, they will spring back in different avenues and with different faces to help us learn our lesson. Our perception of a lesson is what makes a problem, and not the thing itself. It is not so strange that such an erroneous thought train has hijacked reason in this county. The US is renowned for occupying and stamping out any threat to its agenda. The precedent has been set that killing is okay when you attach a purpose to it, no matter how farcical that is. Promoting peace with bombs is the height of such moral relativism in the kingdom of men and women. In the animal kingdom, however, the paragon of the "kill it" paradigm lies in the unmitigated extermination of the legendary coyote. Philosophers, leaders, theologians and mystics have looked to nature for truth and wisdom since time immemorial. Socrates, Gandhi, Thoreau, St. Francis, and many other important historical figures have taught us to look to nature for our lessons. Entire groups of people have all conveyed the same message, and none more so than Native Americans. The original inhabitants of this land were keen observers of the lessons in nature, and because of this, the coyote was highly revered. Determination, cunning, resilience and balance in nature were some of the key virtues that our ancestors embraced in the coyote. The coyote held a special place on the animal totem that denoted sanctity and reverence. Fast forward to today: these sacred creatures are now "legally" killed in droves by people who have lost respect for life. Coyote killing contests (CKCs) have swept all parts of this country where reason has fled. Distinct from hunting, which is driven by a need to sustain, CKCs are fueled by abject lust: lust for money, power, thrill and status. Incentives for the highest kill rate can range from weaponry to outdoors equipment, and from hundred to tens of thousands of dollars in prizes. Propagandists for CKCs belligerently claim that their activities support the ranchers and farmers who own livestock, but this noble claim quickly loses legitimacy in the light of scientific inquiry. In total, fewer than five percent of ranching losses are attributed to predation. Rather than trapping and killing, there are many more effective measures of reducing losses - increasing herd density and grazing management being key among them. Unlike deer and other prey animals, coyotes' compensatory reproduction allow for them to efficiently adapt to their surroundings and control their own numbers; no human intervention required. Their infallible compensatory mechanisms ensure that no amount of killing short of total extermination will make any impact on cattle or other animal losses, and this was clearly seen in an initiative taken by the New Mexico Department of Game and Fish. From 2000 to 2003, 1,200 coyotes were trapped, poisoned or shot by the wildlife department in order to preserve the deer population. After three years, the program was dropped because of complete ineffectuality; there was no evidence that the killing increased fauna survival. Coyotes' profound adaptability and resiliency are indicators of their importance in our ecology, and not an excuse to kill without remorse. The culture of death regards killing as a sport, but this is something that we cannot pass on to our children. If we propagate the message that money is more sacred then life, then all of the goodness that our culture transmits will be sold out. If CKCs become standard in our culture, then lust will replace respect, and callowness will subvert courage. To pass on a legacy of reverence and interconnectedness with the wild is the best that we can can do, so it is incumbent upon us to do so by taking action. We deserve better. Our planet deserves better. Visit Project Coyote today, and be part of an activist community that makes a positive impact on all life. 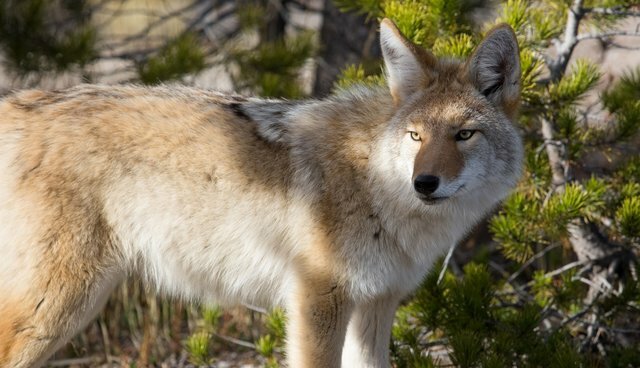 Learn more and discover our connection with coyotes and other graceful predators.